Smarter solutions for experience-driven networking. Wireless access you can always count on. Aruba wireless solutions deliver the flexibility and high performance to meet the needs of any midsize business or high-density enterprise. With built-in AI-intelligence, location services, and seamless roaming users and IT receive an optimal experience. 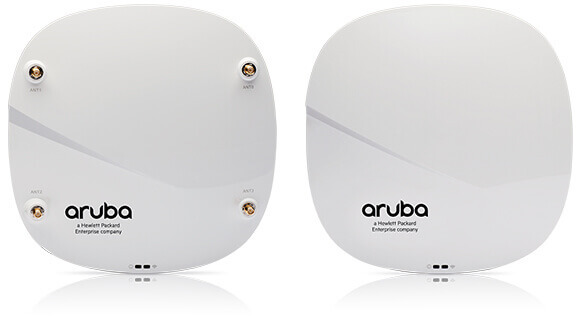 With flexible and high-performance wireless, Aruba meets the need of any midsize or high-density enterprise. Wired networking that’s a whole lot smarter. You need performance and scale for today’s cloud-based applications and bandwidth hungry devices. 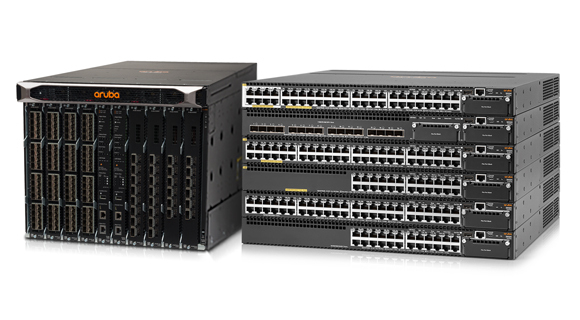 Aruba’s next generation access and aggregation switches provide the high-speed infrastructure and backbone for moving traffic intelligently from the edge to the core. What makes Aruba switching so smart? Visibility and control for your WAN. Aruba’s software-defined WAN (SD-WAN) solution provides WAN routing that is simple to deploy and manage – and saves time and money. It’s ideal for distributed enterprises wanting to transition to a more agile, open and cloud-hosted environment. Protect your organization, from inside and out. With 360 degrees of active cyber protection, Aruba ClearPass and IntroSpect provide the visibility and network access control needed for today’s digital workplace. 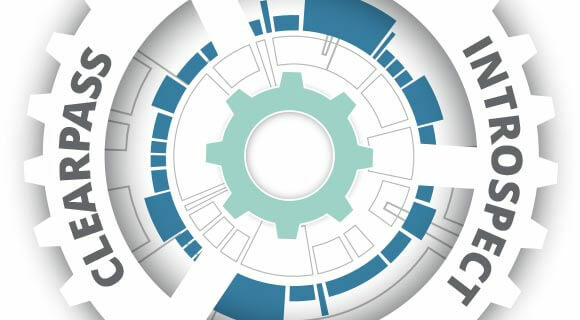 Automated policies and machine learning-based analytics detect threats on the inside while accelerating investigations and response. 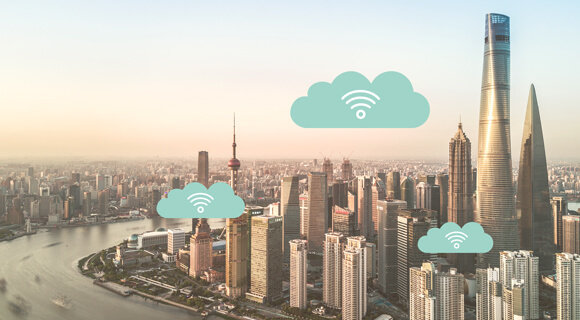 Get granular visibility into users, devices, and apps running on your WLAN, LAN, and SD-WAN to deliver the performance and reliability your business demands. 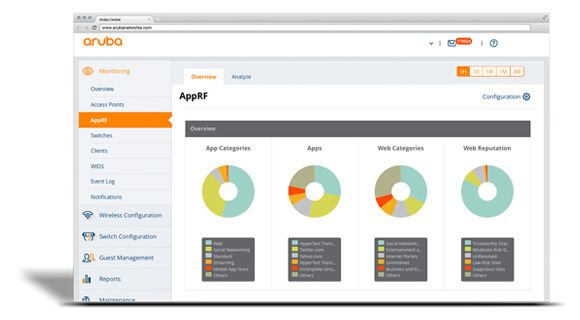 Simplify your operations with Aruba’s easy-to-use and powerful on premise or cloud-based network management solutions. Resolve network issues – before they disrupt your business. Measure and identify performance and connectivity patterns before issues arise – even ones that happen across multiple locations, remote offices, and applications that use internal or cloud-based services. 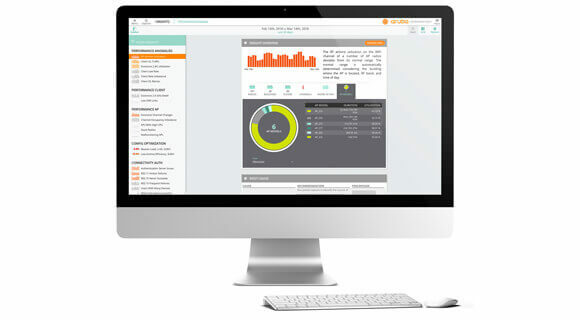 Aruba’s AI-powered machine learning solutions are now the benchmark for understanding network and application performance.